Understanding what 360 degree feedback survey means may be the first question. A 360 degree feedback system is a way for an employee to be rated on her performance by those around her. 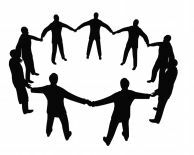 The term 360 degrees means a circle of people who are familiar with the one being rated, evaluated or reviewed. A 360 degree survey collects information. That information looked for should be clearly and precisely defined. Those involved in the survey should be trained and well informed. The employee survey should be unbiased, accurate, ethical and economical. Businesses and organizations can get feedback on performance when employees complete surveys on each other. 360 degree employee feedback surveys involve self assessment compared with how managers, subordinates and peers view the one being rated. This is an important part of the employee survey process. The employee being rated and management will have a greater insight into how that individual is viewed by those around her. A 360 degree survey training should explain every detail about how the survey will be completed on the employee being reviewed. The survey must be taken seriously with an understanding of the different questions that will be asked. There will be trust for the process if employees know their comments are kept anonymous. However, the approach of secret confidential surveys has been a source of controversy. If the organization you work for already has an atmosphere of mistrust a 360 survey may not be successful. This link to 360 degree performance appraisal will show you why.